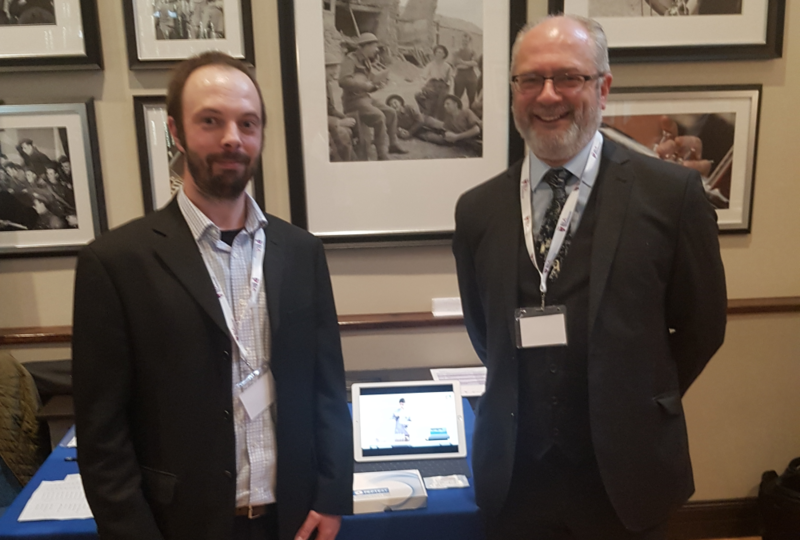 Biohit Healthcare, the distributor for Peptest in the UK and Ireland, exhibited at a British Laryngological Association study day this month. (Pictured at the event is Andrew Woodcock, laboratory manager at RD Biomed, with surgeon Mark Watson). The one-day meeting was designed for specialist and general otolaryngologists, speech and language therapists and gastroenterology clinicians who manage patients with chronic throat and voice symptoms. A highlight of the day’s programme on 6 December in London was a presentation on pepsin by Professor Jeff Pearson, an expert in Molecular Physiology at the Institute for Cell and Molecular Biosciences at the University of Newcastle upon Tyne’s Medical School. 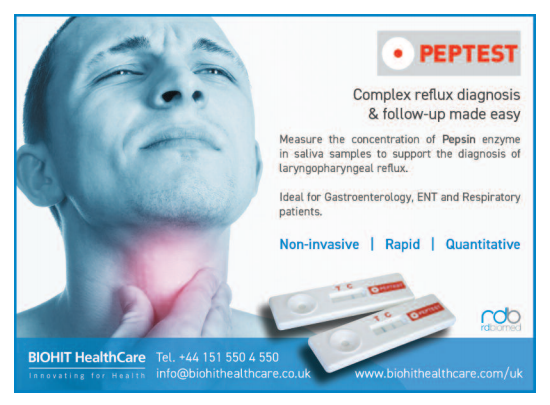 Professor Peter Dettmar from the Peptest team has collaborated on a number of research studies with Jeff, including ‘Assessment of the potential of a novel detection method for measuring pepsin as a biomarker of reflux’ and ‘Laryngeal Mucosa: Its Susceptibility to Damage by Acid and Pepsin’.